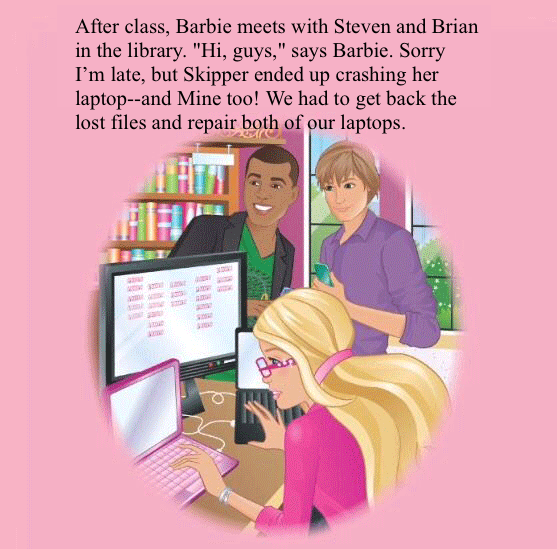 After class, Barbie meets with Steven and Brian in the library. "Hi, guys," says Barbie. Sorry I’m late, but Skipper ended up crashing her laptop--and Mine too! We had to get back the lost files and repair both of our laptops.